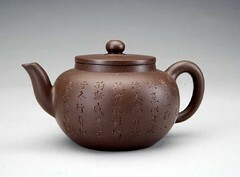 Chinese ceramic ware is an artform that has been developing since the dynastic periods. The first types of ceramics were made about ten to eleven thousand years ago. Chinese ceramics range from construction materials such as bricks and tiles, to hand-built pottery vessels fired in bonfires or kilns (窯), to the sophisticated porcelain wares made for the imperial court. 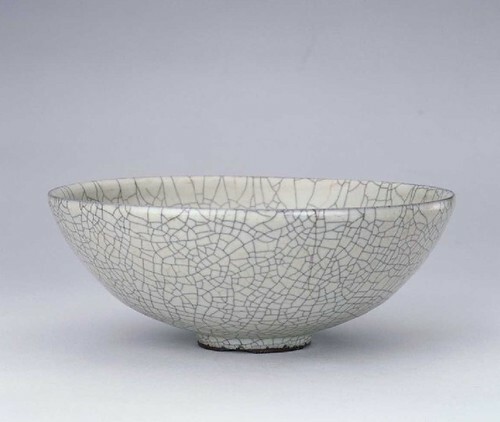 There are two primary categories of Chinese ceramics, low-temperature-fired pottery or táo (陶, about 950-1200℃) and high-temperature-fired porcelain or cí (瓷, about 1250-1400 ℃). The history of Chinese ceramics began some eight thousand years ago with the crafting of hand-molded earthenware vessels. Soon after, in the late neolithic period, the potter's wheel was invented facilitating the production of more uniform vessels. The sophistication of these early Chinese potters is best exemplified by the legion of terracotta warriors found in the tomb of the First Qin Emperor (r. 221-210 BC). 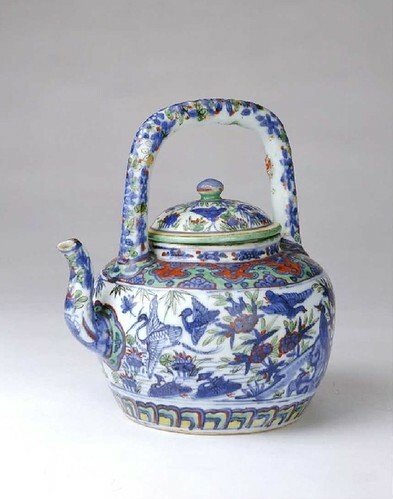 Over the following centuries innumerable new ceramic technologies and styles were developed. 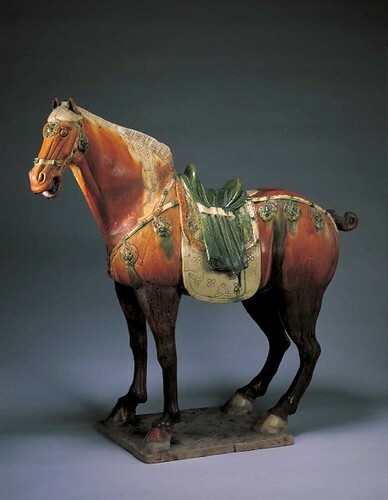 One of the most famous is the three-colored ware of the Tang Dynasty (618-907 AD), named after the bright yellow, green and white glazes which were applied to the earthenware body. 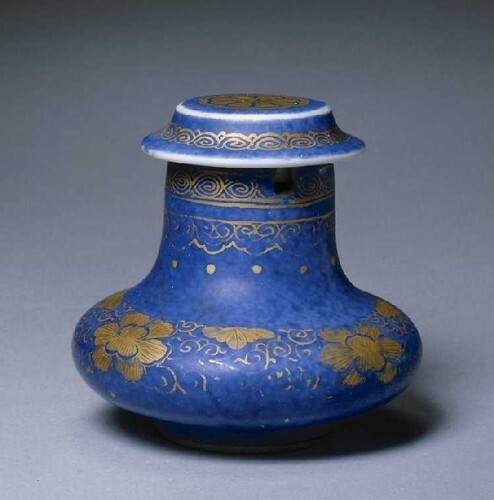 They were made not only in such traditional forms as bowls and vases, but also in the more exotic guises of camels and Central Asian travelers, testifying to the cultural influence of the Silk Road. 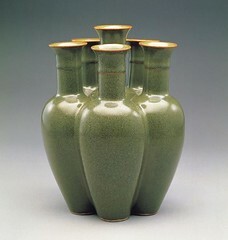 Another type of ware to gain the favor of the Tang court were the qingci (青瓷), known in the West as celadon. 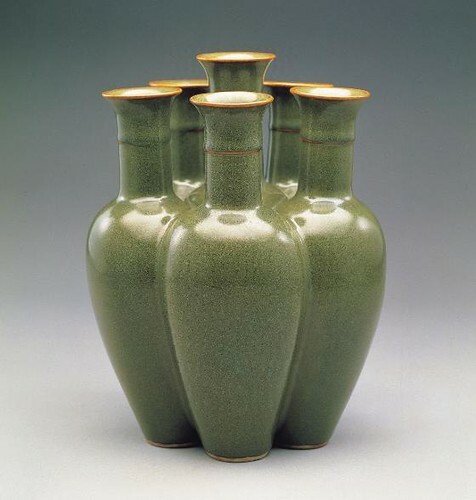 These have a subtle bluish-green glaze and are characterized by their simple and elegant shapes. They were so popular that production continued at various kiln centers throughout China well into the succeeding dynasties, and were shipped to Korea, Japan, Southeast Asia, and as far as Egypt. 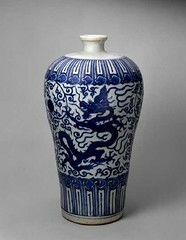 Blue and white porcelain was first mass produced under the Yuan Dynasty (1279-1368 AD). 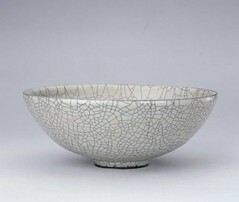 Baked at a high temperature, porcelain is characterized by the purity of its kaolin clay body. 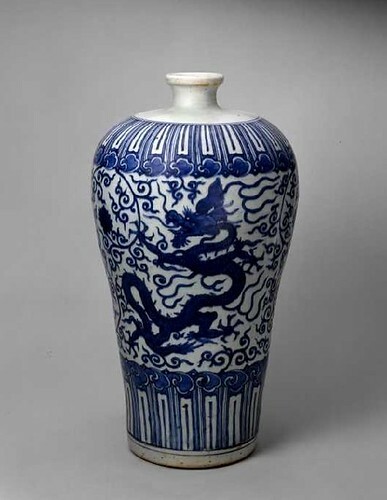 Potters of the subsequent Ming Dynasty (1368-1644) perfected these blue and white wares so that they soon came to represent the virtuosity of the Chinese potter. Jingdezhen (景德鎮), in Jiangxi Province, became the center of a porcelain industry that not only produced vast quantities of imperial wares, but also exported products as far afield as Turkey. While styles of decorative motif and vessel shape changed with the ascension to the throne of each new Ming emperor, the quality of Ming blue and whites are indisputably superior to that of any other time period. 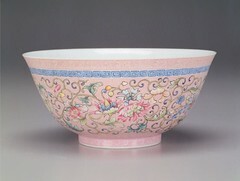 During the Qing Dynasty (1644-1911), porcelain was enriched with the innovation of five-colored wares. Applying a variety of under-glaze pigments to decorative schemes of flower, landscape and figurative scenes, these wares have gained greatest renown in the West. In almost every major European museum, you will find either a five-colored ware or a monochromatic ware (in blue, red, yellow or pink) from this period. 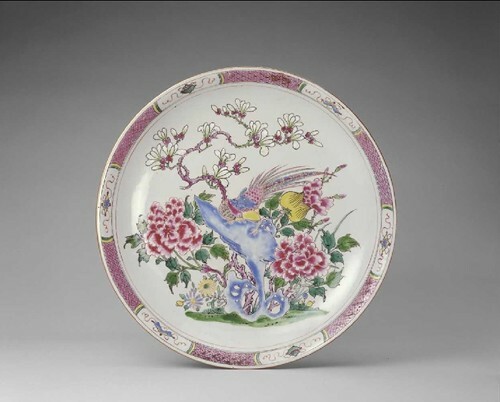 The quality of Chinese porcelain began to decline from the end of the Qing Dynasty as political instability took its inevitable toll on the arts. 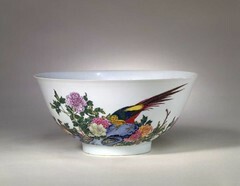 However, the production of porcelain is being revived as Chinese culture gains greater recognition both at home and abroad. 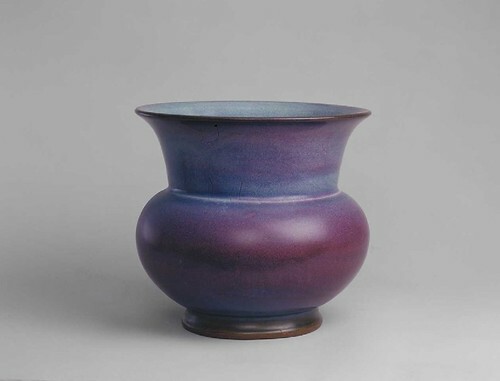 In addition to modern interpretations, numerous kiln centers have been established to reproduce the more traditional styles.